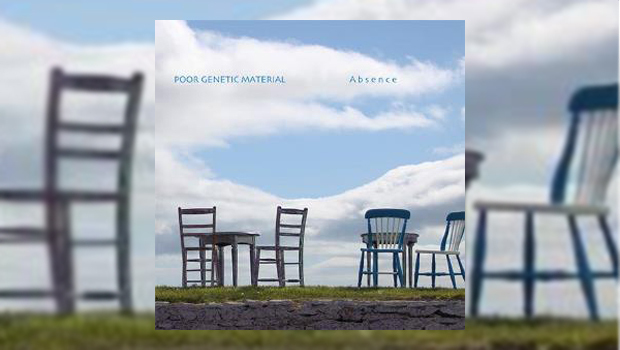 Yes, Poor Genetic Material is back with a new album, Absence, which was released on 16th September 2016 through QuiXote Music. Poor Genetic Material have gone through some personnel changes and the band is now made up of the talented musicians Martin and Philip Griffiths on vocals, Stefan Glomb on electric, acoustic and synth guitars, Philipp Jaehne on keyboards, Pia Darmstädter on flute & vocals, Dennis Sturm on bass and Dominik Steinbacher on drums. The choral vocals for Absence are provided by Maite Griffiths, with Martin and Philip and the percussion sounds were created by Steinbacher with Alena Naumann and Christian Dolenga. The long instrumental opening to Absence is like the perfect meeting of Giancarlo Erra’s No Sound and Genesis’ classic opening to And Then There Were Three…, the album’s compelling start works well to support the overall concept which seems to be a yearning to go back in time to a place where things were less violent and chaos did not reign supreme. The protagonist seems to be, from the lyrics, a now mature man longing for a childhood which passed too quickly. Nostalgia for civility and for the simple things which used to be commonplace. Instead of “Rosebud”, the cherished possession of this story is a magic flute. Every song on this six track album is a winner, full of excellent musicianship. The songs are long and allow for instrumental development as well as narrative explanations. The Griffiths, both Martin and Philip, have fantastic voices, which at times will take you back to early Saga and Michael Sadler’s golden vocals, particularly on What If? which is the heaviest of the tracks. On Absconded you will swear that Sadler is actually singing the vocals, it is that close. Close your eyes and you can almost hear the same powerful vocals as on Don’t Be Late or Images. “An air of early autumn. Breathing new life into empty marble halls. “Those days would never end. That was sure and clear. The theme is well developed throughout the album, using music which will immediately bring back memories of childhood favorites. The use of Pia Darmstädter’s flute is sparing but well placed and every moment of this album is a precious memory which will last well after the music finishes. The quality of the music on Absence will definitely put it amongst the best albums of 2016 for me. With a discography as large as the one that Poor Genetic Materials has created, you know that the band is both prolific and talented. Buy Absence and enjoy a trip back to the kind of music that used to take time and effort to make. Celebrate the time and love put into this brilliant and deeply emotional work of progressive rock.